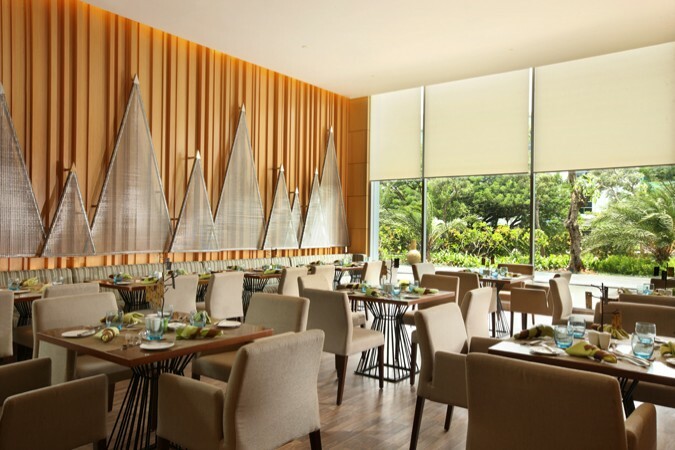 Spacious and airy, Botany Restaurant is the all-day dining venue at the Holiday Inn Jakarta Kemayoran. 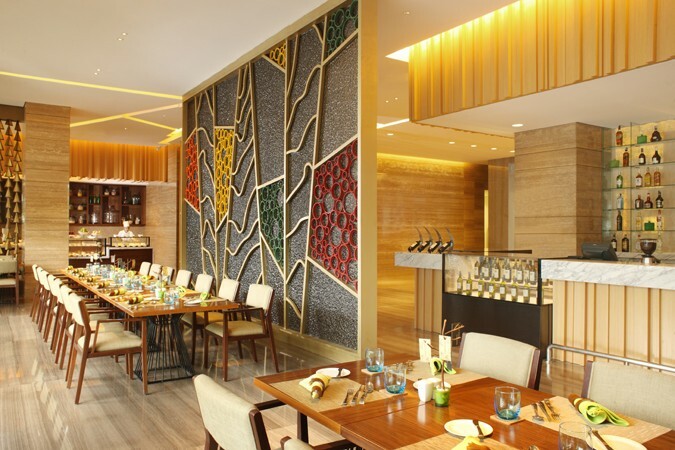 Situated in the hotel lobby, the chic, contemporary restaurant offers a blend of international and local favourites, like fresh salads, steak and seafood, Botany signature spaghetti, fried rice and pizza. 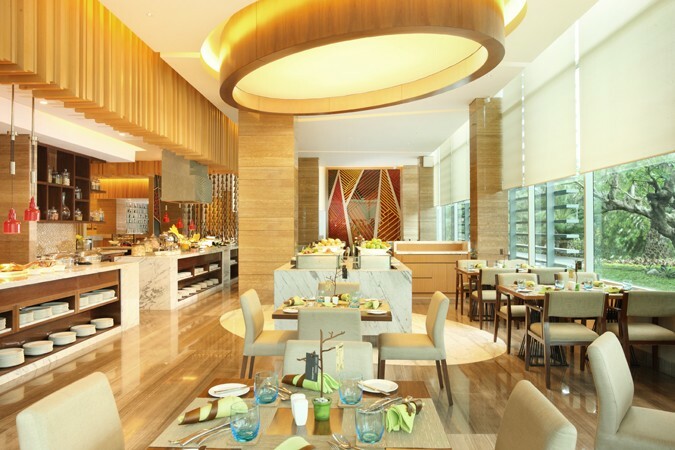 Start the day with a wholesome buffet breakfast, choose something lighter at lunch or partake in the buffet. For dinner, choose a signature dish with a glass or two of wine, or enjoy dishes like Angel Hair Pasta with Scallop, Salmon Teriyaki, Chicken Piccata Grenobloise and Lamb Chop from the premium buffet. Located close to both Jakarta International Expo (JIEXPO) and Kemayoran toll gate, the Holiday Inn Jakarta Kemayoran is a great base for business travellers, whilst for golf enthusiasts it’s just a stone’s throw from the 18-hole Bandar Kemayoran Golf course.